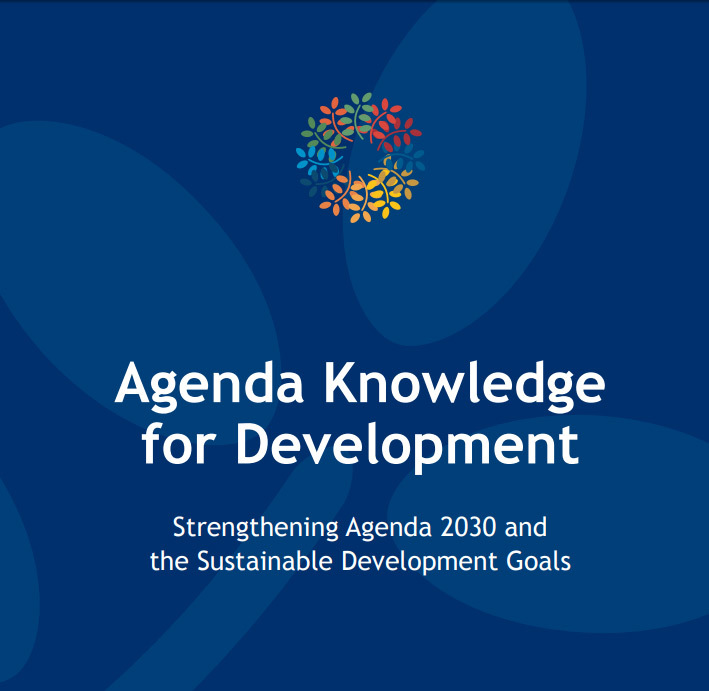 Today the Knowledge for Development Partnership (K4D) initiative released an updated version of the 'Agenda Knowledge for Development', which formulates 14 "knowledge goals" meant to supplement the UN's Sustainable Development Goals and strengthen the Agenda 2030 from a Knowledge Management perspective. 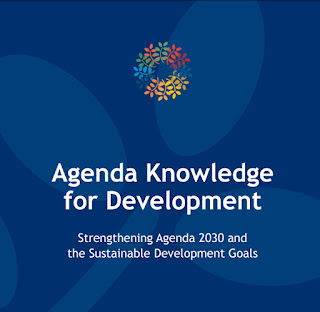 The updated version includes one added Goal 14 ‘The arts and culture are central to knowledge societies', as well as 57 added statements (in addition to the 73 statements in the previous edition) from knowledge management practitioners in development across the world, including my own. "It is easy to hail knowledge as ultimate driver for change and key resource to achieve the SDGs. The sobering reality, however, is that more knowledge doesn’t per se make the world a better place. In fact, one can argue that humankind has reached a point in history where there is more knowledge than it can productively handle. Despite the known benefits of democracy, support for democratic principles is shrinking worldwide. Despite the advances to human progress through science, increasing portions of populations wilfully choose ignorance and ideology over scientific evidence. And despite unprecedented access to news and information sources, consumers chose to rely on fake news instead of fact checking. These are symptoms of a world in which there is just too much information for the human brain to meaningfully process. And the instinctive response is to retreat to what we already know and are comfortable with, rather than expose ourselves continuously to a complex world in which discerning the best route of action among many truths is very hard work and just plain exhausting. Intelligence (AI) to sift through the massive amounts of knowledge and information available, and make sense of it for us. As with past tech trends, we are currently both underestimating and overestimating the dynamics of this technology in the way we manage knowledge. We are underestimating the profound transformational impact AI will have on the way we learn about, curate and analyze examples and insights from worldwide activities in our everyday work. And we are at the same time overestimating the extent to which technology can solve our underlying problem of using knowledge to better the human condition. Programmed biases in AI systems, questions of legitimacy and over-reliance on ‘black box’ AIs, and issues around ethics and local context are just some of the problems that we will have to resolve as we will increasingly rely on machine learning. Knowledge for development needs to be mindful of the issues that knowledge complexity is triggering in societies, and brace itself for the full force of the AI revolution that will transform the way we manage this knowledge in the upcoming 10-15 years so that we, as development practitioners, are well positioned to both reap its benefits and mitigate its pitfalls as we work towards achieving the SDGs." What do you think? Is this view too much preoccupied with the current global political context, which may be more of a momentary snapshot than a long trend, or do you agree that the dichonomy between information availability and capacity to dicern and process it will be the key KM challenge of the years to come?